A beautifully styled console table with a Bunny Williams brushstroke double gourd lamp, a foo dog, and a blue and white Chinese vase. 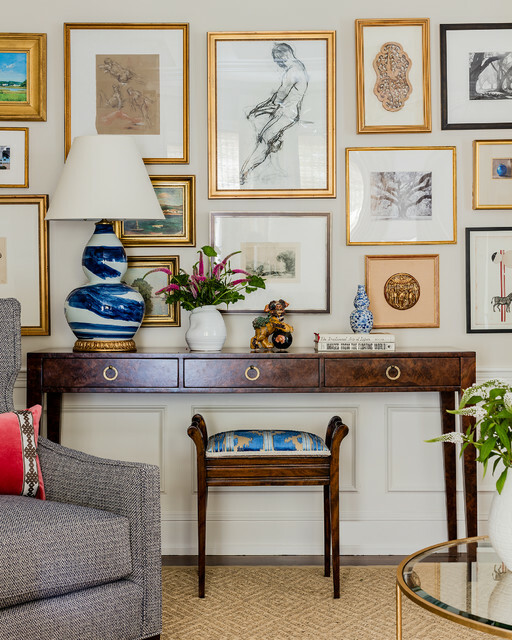 This gallery wall - too perfect. How do others do it? I just can't get mine to look this good!